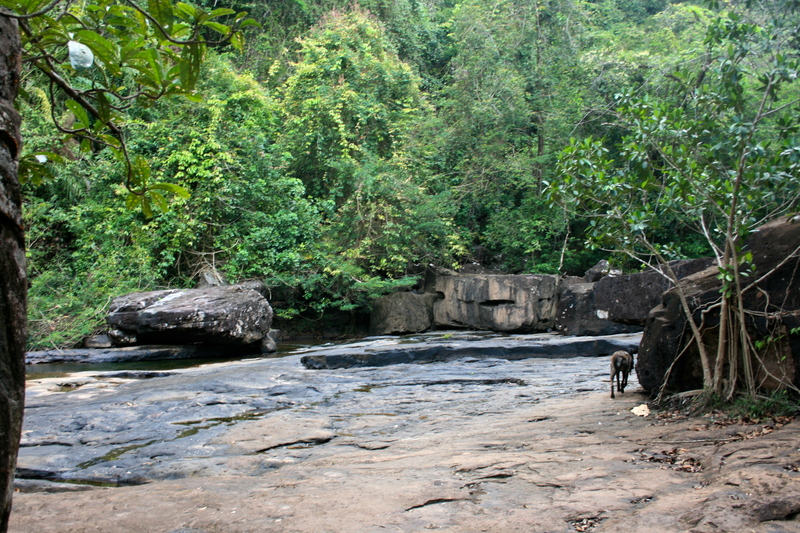 Within the tropical rainforest of Koh Kood, is a natural cascade with an alluring freshwater swimming hole. The flowering trees drape around the pool and are alive with the movements of countless black and white butterflies. Two ropes hang above the water waiting for someone to leap in. The edges of the pool have a perfect rock shelf at seating level. An ideal place to peacefully float and listen to the constant hum of jungle life. 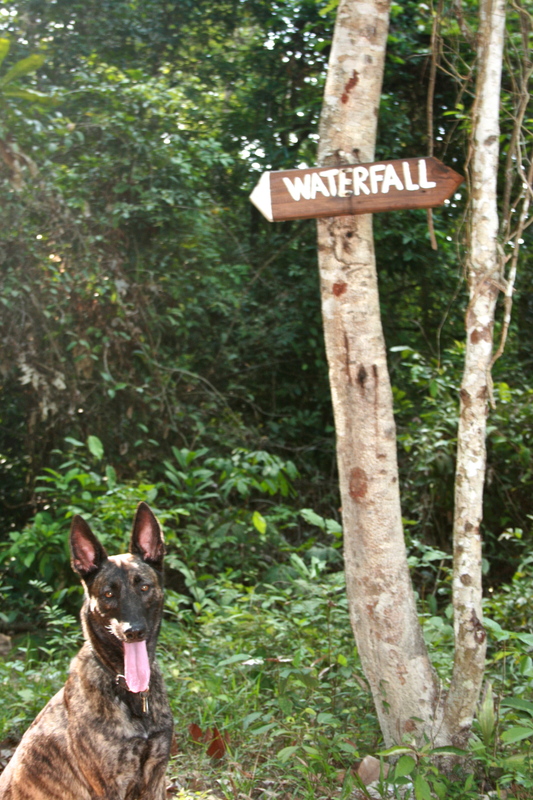 The waterfall is easy to reach. Most of the journey is paved for easy access by bicycle or motorcycle. 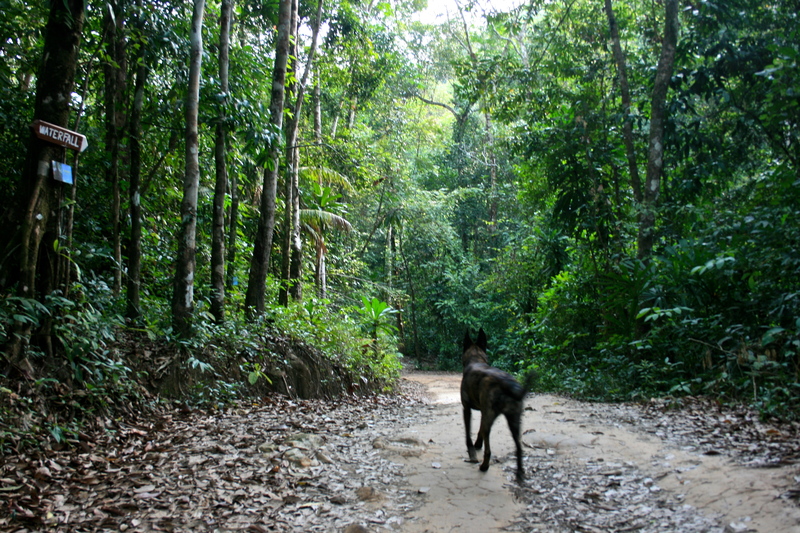 The road that leads to the waterfall turns at P.D. Guesthouse. 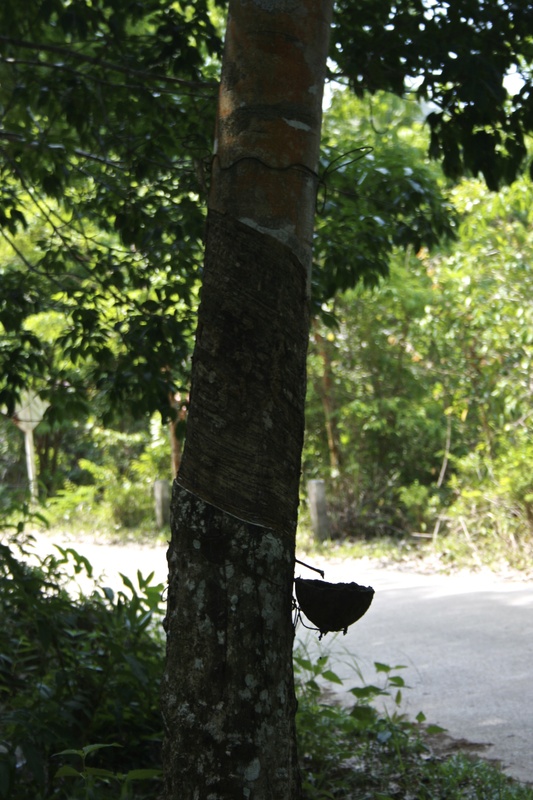 The path continues through jungle and groves of rubber trees. 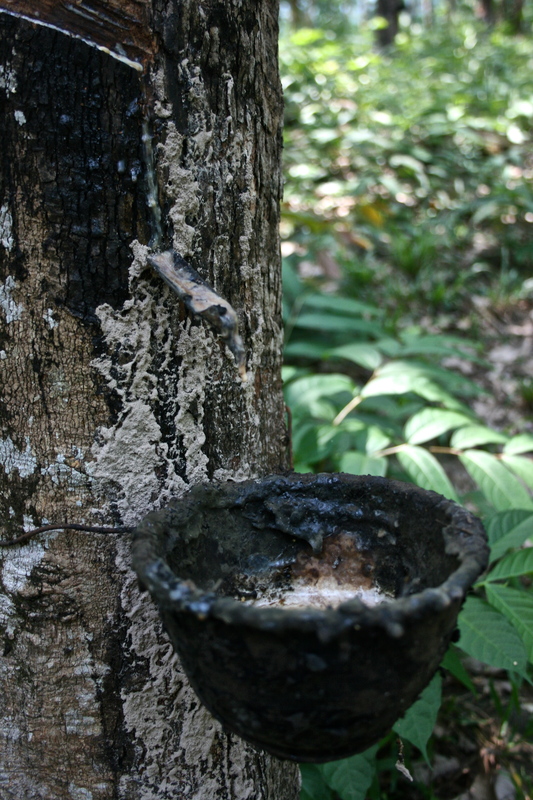 Their stripped trunks and little bowls are a sight of interest for those unfamiliar with the process of rubber tapping. The destination is well signed and impossible to miss. 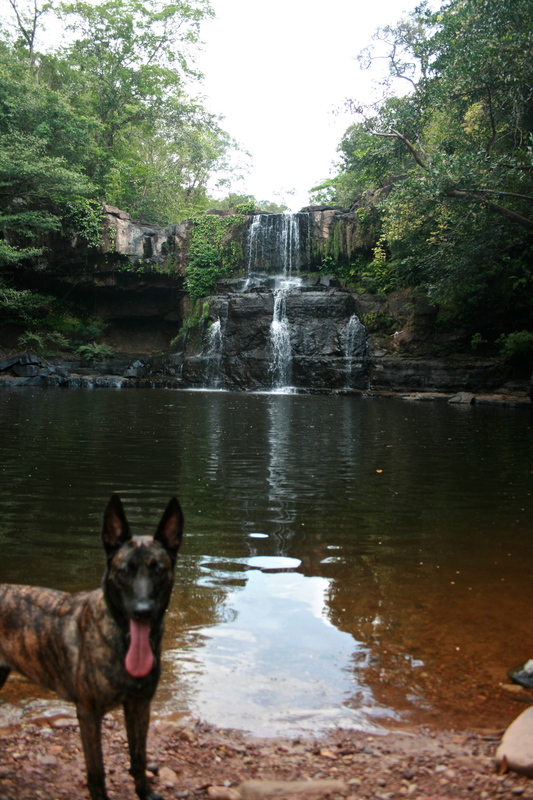 The waterfall can also be accessed by kayak but expect some hiking where the water shallows close to the waterfall. After the road ends it is about a 10 minute walk on a level clear path. Enjoy your swim in tropical paradise! What a gorgeous Malinois! And equally as pretty scenery! Such an amazing adventure for a pup. Musta been a great bonding experience! 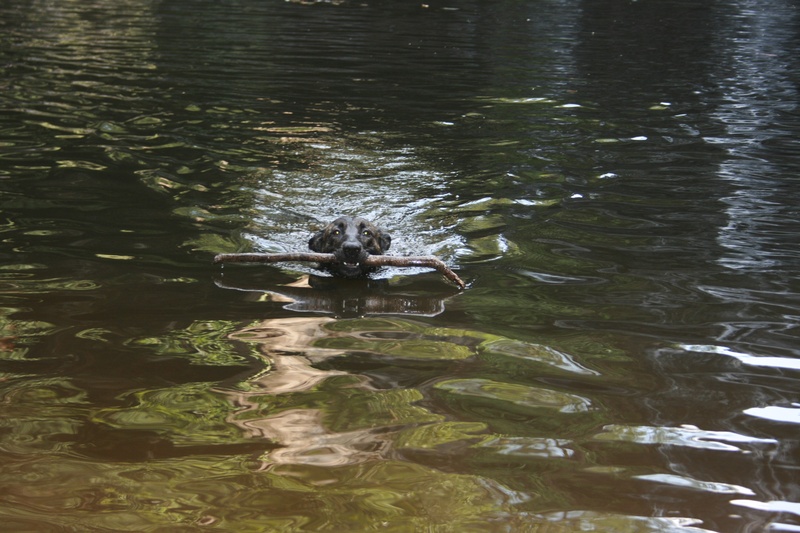 He looks so content swimming with that stick in his mouth! Hope to see more images from future adventures! Cheers!